The Year of the Big Deer? It's a good year to be a taxidermist. Just ask Harry Whitehead. A taxidermist in Nicholasville, Kentucky, for 30 years, the 2015 season is shaping up to be his best ever. "I'd say the number of deer heads brought to my shop was up 30 percent this year," he says. "The average size is up, too. I used to mount a lot of 140-inch deer, but this season, the average was closer to 150." Whitehead isn't alone. Far from it. Countless hunters throughout whitetail country made a trip to the taxidermist. That's nothing new, of course. But this year? Big bucks were everywhere. 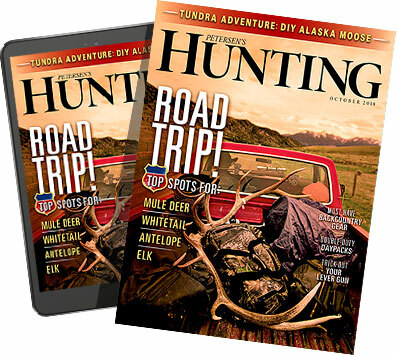 It seemed like every social media outlet and every website dedicated to deer hunting was crammed with beaming hunters posing with giant bucks. They came from the obvious places, like Kansas, Illinois, and Ohio, including the 300-inch, non-typical giant taken near Junction City, Ohio, by bowhunter Dan Coffman, which is reported to be the biggest buck ever taken by a bowhunter. A 14-year-old Oklahoma girl killed the state's fourth-largest buck and the largest taken by a woman. It scored 179 7/8 Boone & Crockett points. Even states that aren't known for producing trophy-class whitetails were cranking out a run of big deer. A West Virginia hunter killed what is likely to be the new state record typical whitetail, green-scoring 191 2/8, and a Louisiana bow hunter arrowed a 172 6/8-inch public land giant, possibly the second-largest bow kill in the state. Part of the plethora of big bucks has to do with social media itself, figures Quality Deer Management Association Director of Education & Outreach Kip Adams. "We seem to be sharing our deer a lot more on social media," he says, "and a photo of a really big deer gets circulated over the Internet, so it may seem like there are a lot more big deer being killed than in the past. With that said, I really do believe we are starting to see a trend toward really big deer that's been in the works for several years. I think a number of things came together this last season." Kansas Whitetail Adventures owner Gene Pearcy agrees. "There was food and cover everywhere in 2014 where I hunt in Kansas. The deer didn't have to travel far, so they were less visible and the kill was down. That meant more bucks had another year to grow. We killed deer during the 2014 season, but the average score was around 140 inches. This year, our average buck was closer to 150, and we killed more this year than the previous year. Several of my outfitter friends in other states reported the same thing. Last season was pretty bad. This season was exceptional." It wasn't just the traditional big-buck states that saw a bounty of food during the 2014 season and a decrease in the deer kill. Much of the eastern United States, including Ohio and Virginia, saw a bumper crop of acorns. Virginia's 2014 deer kill was down 22 percent from the previous season. Ohio's was lower, as well. "Deer don't have to move as far when the acorn crop is heavy, so they are less vulnerable to hunters. That's pretty well documented," says Ohio Division of Wildlife biologist Clint McCoy. "This year we had a poor mast crop, which makes deer easier to kill. Plus, they had an extra year to grow. Anecdotally, I'd say yes, we've seen an increase in really big bucks this past season, but it's too early to tell for a fact from any data we might have." Pearcy wonders if an increased use of mineral supplements and year-round feeding programs have also played a part in the recent spike in buck quality. Although there is little science to back the connection between supplemental feed and larger racks, Adams thinks there might be a link. "The big picture is that all the new management efforts everywhere are having an impact," says Adams. "It isn't just food plots and supplements. There are so many more acres being managed specifically for whitetails. The habitat is much better and it is undoubtedly having a positive impact on local deer herds." Generally, though, the more likely reason this year has seen an uptick in really big bucks has more to do with shifting attitudes among hunters themselves. Consider this: In 1989, nearly two-thirds of the nationwide buck harvest consisted of yearlings, according to data compiled by the Quality Deer Management Association. That number has been falling ever since. Just 33 percent of the antlered bucks killed in 2014 were yearlings, the lowest ever recorded. Incredibly, the yearling buck kill in Arkansas was just eight percent of the total buck harvest in 2013. What's more, the average age of bucks being killed by hunters has increased dramatically in recent years. Thirty-four percent of all bucks killed in the 23 states that record age structure were 3½ years old or older. More than two-thirds of the bucks taken in Arkansas and Louisiana were at least 3½ years old. "It seems like everyone is practicing trigger management," says Adams. "They are passing up younger bucks and shooting older deer. It makes sense that as more deer make it to 3½, more deer will also make it to 4½ or 5½, when they can really reach their full potential." Whitehead and Ohio taxidermist Casey Watterson credit another factor to the increase in giant bucks in recent years: trail cameras. "They've changed the game," says Watterson, who is also experiencing a spike in business this year. "Hunters now know what's out there. If they know there is a 140- or 150-inch deer running around, they are less likely to shoot the first 120- or 130-inch buck that comes by. I'm up 20 percent over last year. I had 70 deer between 140 and 160 brought to me, including three or four between 180 and 190 inches, so it certainly seems like this year was a very good one." One good year doesn't necessarily make a trend, but Whitehead and Watterson are convinced the most recent deer season is a look at the future. "I've been a taxidermist for 15 years, and every year seems to be a little better than the last," says Watterson. "I think the increase in leasing is also playing a role in this. When people pay good money to hunt, they are less likely to shoot the first buck they see. Others also realize that if they want meat, they can shoot does and save their buck tags for something worth shooting."